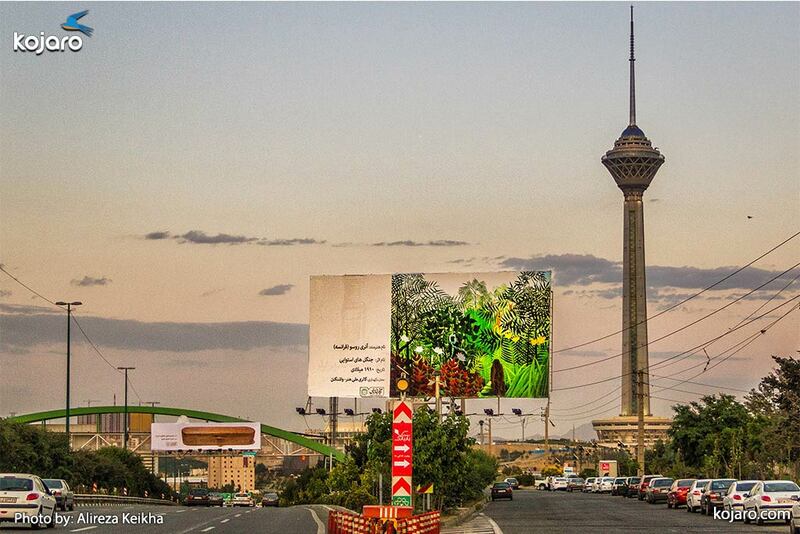 Look up Tehran! There is an art gallery above you! 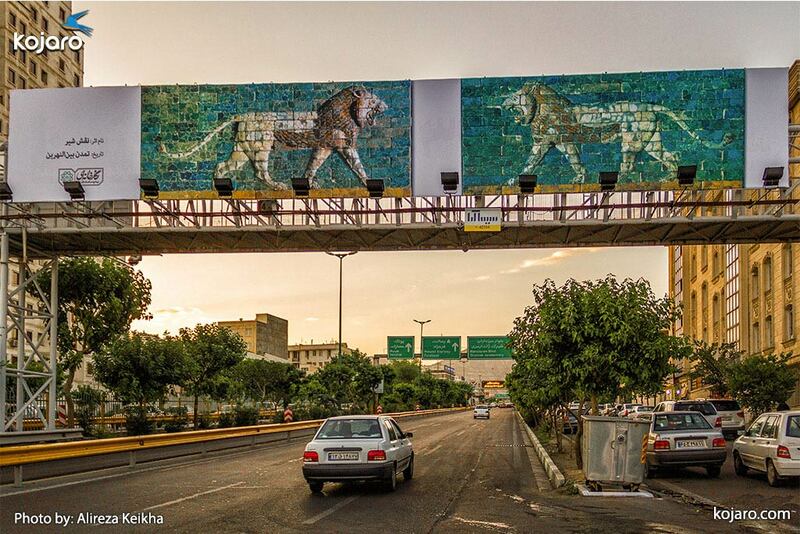 TEHRAN - Tehran looks very different now; if you are walking the streets of the Iranian capital these days, make sure to turn your eyes upward, or you will miss the chance to see the biggest art gallery in existence. 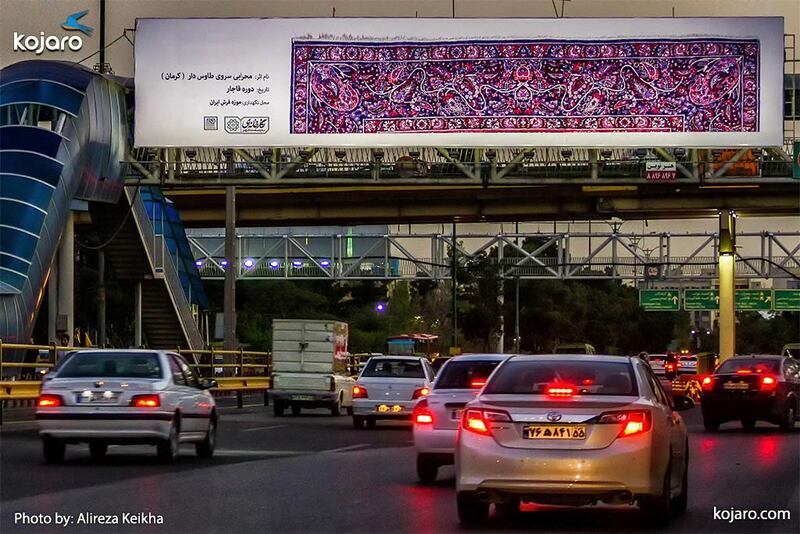 If you are one of the lucky pedestrians walking the streets of Tehran or driving your car or riding on a public transportation through the highways and various routes from May 21 to 30, you may want to turn your eyes upward to watch the billboards. No, this is not a well-disguised coercive technique in service of consumerism. 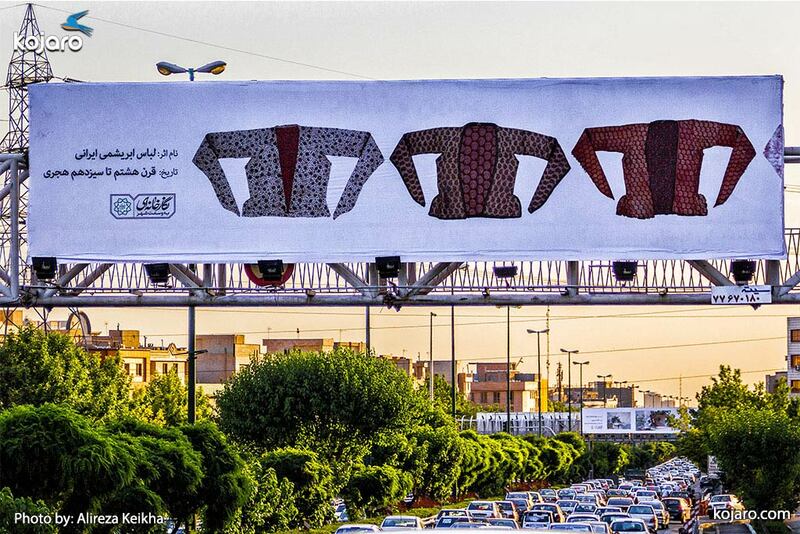 You may be surprised to find all the commercial billboards across the Iranian capital void of any advertisements for food, clothing articles or kitchen appliances. Instead, you will be presented with a large-scale, breathtaking view of famous artworks by Iranian and international artists, from the post-impressionism of Van Ghog to the abstract expressionism of Jackson Polack to the pop art of Andy Warhol. The artists have been chosen from across the world from the German expressionist K�the Kollwitz to Danish-French impressionist Camille Pissarro to Japanese early nineteenth century artist Katsushika Hokusai. 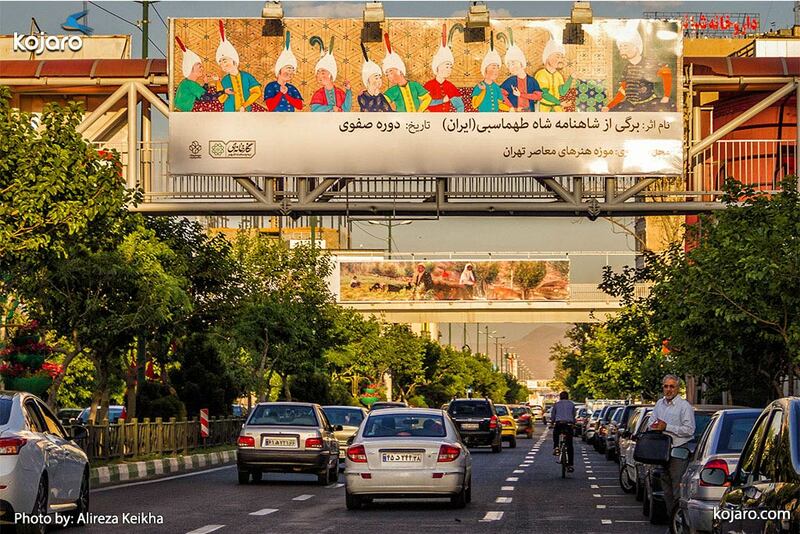 But if you were also among the lucky ones during May 5-21, 2015, then you would remember the occasion as 'A Gallery as Large as a City' which experienced its first tentative display in Tehran last year to avid enthusiasm from the residents of the capital as well as applauding reviews from some foreign media which called the initiative unprecedented and ingenious. Every nation loves art, and every time human beings gathered in one place, there always came a moment for some kind of appreciation for aesthetics. 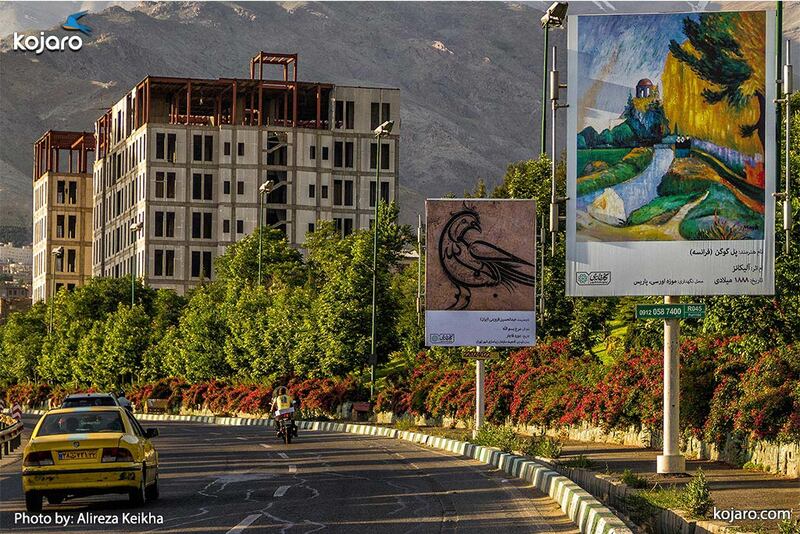 The tremendous success of last year's project promoted Tehran Municipality under the management of Mohammad Bagher Ghalibaf to have another go at it. 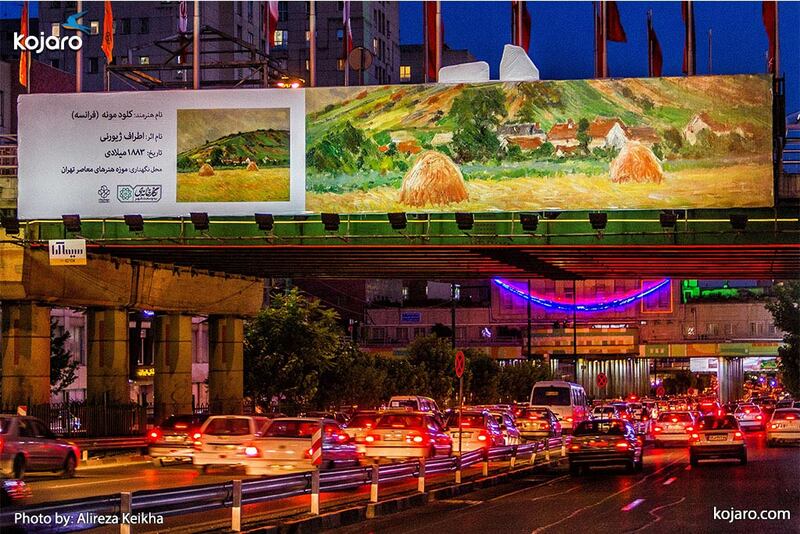 This time, 800 copies of artworks by artists across the world have been put on display on 2000 billboards in Tehran. Two-third of the works are from Iran and by Iranian artists and the rest have been selected from the world's major artists, some of which may be famous enough to be recognized by nearly half of the population, such as Van Gogh's The Starry Night or Johannes Vermeer's Girl with a Pearl Earring. 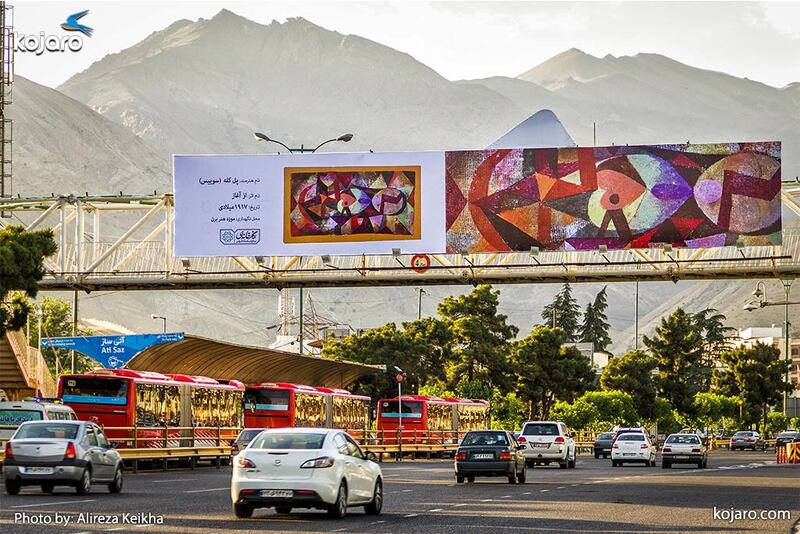 "When I see a painting on the billboards I recognize I become strangely proud of myself," said Saman, 24, a student of electrical engineering. "My field of study does not allow me much free time to get acquainted with art and I've always felt a pang of remorse for being too immersed in mathematics and having no time to spare to visit a gallery. I like what the Municipality has done with the city, though." Mina, 31, by contrast, turned out to be quite well-versed in the vast field of art. A photographer and illustrator, Mina spends nearly all her time hunting for beautiful spots to capture. "I'm an art major and seeing all of these wonderful works of art spread around my hometown fills me with such a warm feeling of appreciation." "I was pleasantly surprised to find this painting as part of the displayed works in Tehran's gallery project," she showed me a photograph on her cell phone of a painting depicting the back of a lone man standing on a cliff facing a misty valley that resembled a stormy sea. It had a whimsical, mysterious feel about it. 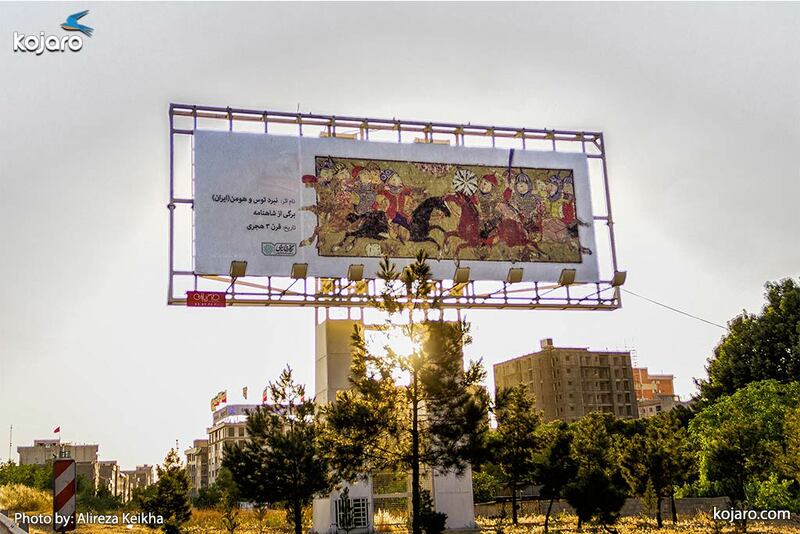 The painting was propelled on a huge billboard against the background of a highway bridge in Tehran, and according to description under the painting, it currently resides in the Kunsthalle Hamburg in Germany; "This one here is called 'Wanderer above the Sea of Fog' by the German romantic painter Caspar David Friedrich. He's one of my favorite artists. Seeing this painting right before my eyes in such a large scale, even if just a copy of it on a billboard, fires up my inspiration." Not all copies are of paintings, however. 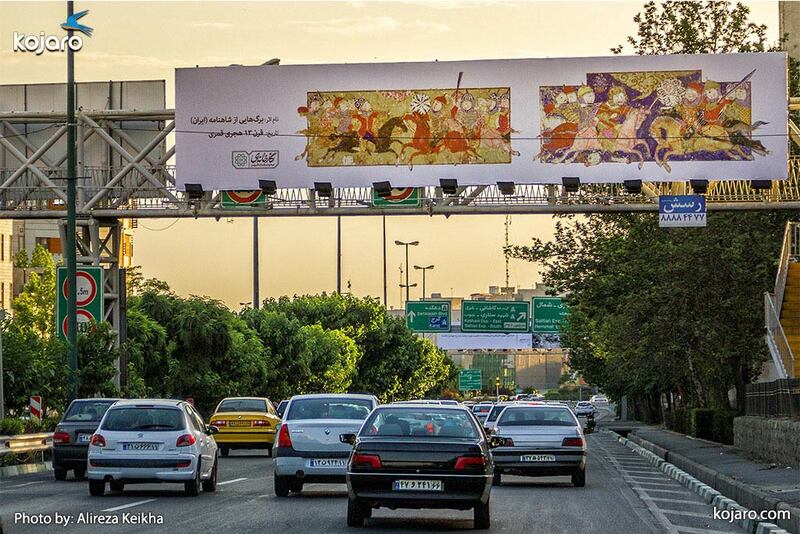 Some of the billboards are dedicated to pictures of objects of cultural heritage, such as an Iranian carpet with the image of a lion belonging to the 19th century, or an engraved steel plate dating back to the Safavid era. 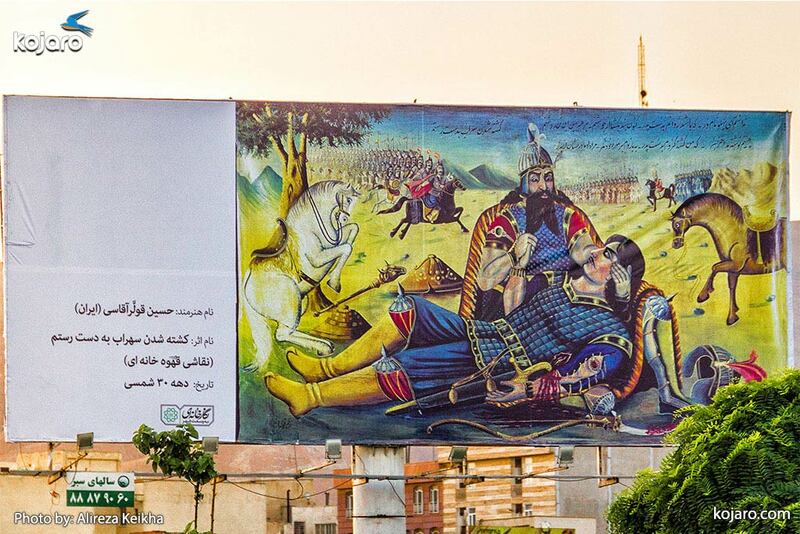 Some paintings also depicted some verses from Ferdowsi's Shahnama, such as the famous tragedy of Sohrab, where Rostam, the father, kills his own son unwittingly. 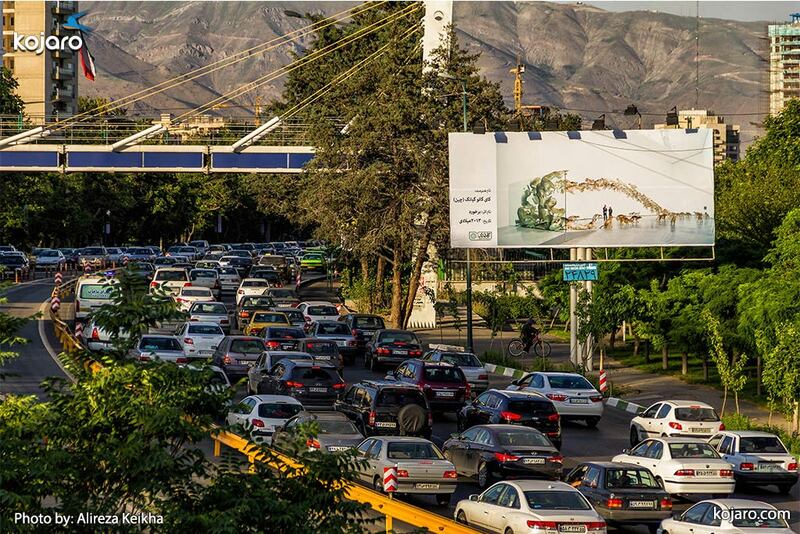 The billboards will be hosting the artworks until May 30, and seeing the public's positive views on the project, it is likely that Tehran Municipality will come back for a third round of the city gallery next time. Or it may come up with an even more ingenious idea to charm and dazzle the art-lovers of the capital. We should wait and see.